Israel’s military chief has won some battles to keep the army secular but he may be losing the war. 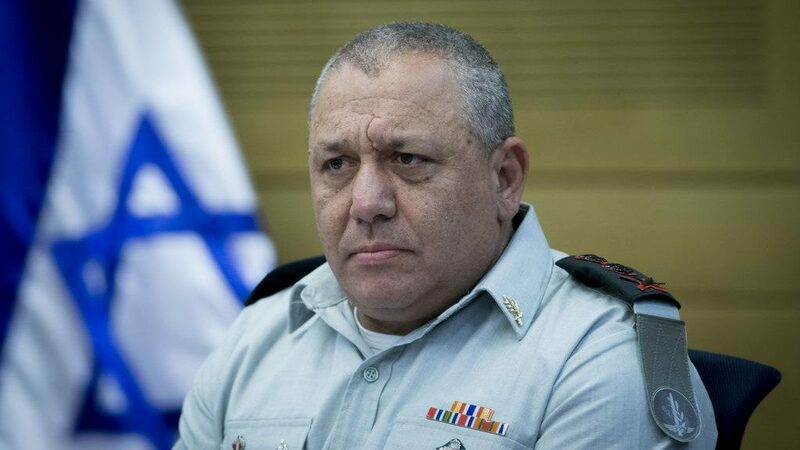 Since being appointed chief-of-staff in 2015, Lieutenant General Gadi Eisenkot has struggled to maintain the Israeli Defence Force’s (IDF) ethical and secular values against rising ultra-nationalist and religious influences. 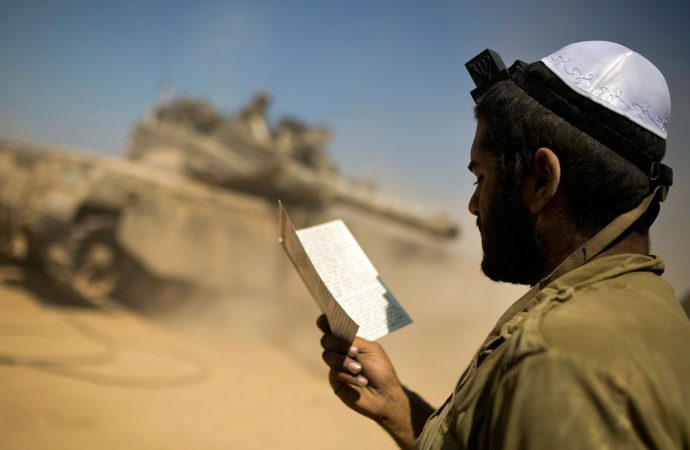 With the increasing likelihood of political interference undermining the military’s secular values, the IDF risks becoming less adherent to human rights norms and more representative of a religious nationalist minority. From their inception, Israel’s military and parliament, the Knesset, have traditionally been dominated by secular Jews. While both are still controlled by secular ideology, the growing influence of religious nationalist hardliners has ensured they will play an increasingly important role in the country’s biggest military issues. Since the late 1980s, religious military academies like Bnei David have been instrumental in promoting military service as a religious duty. 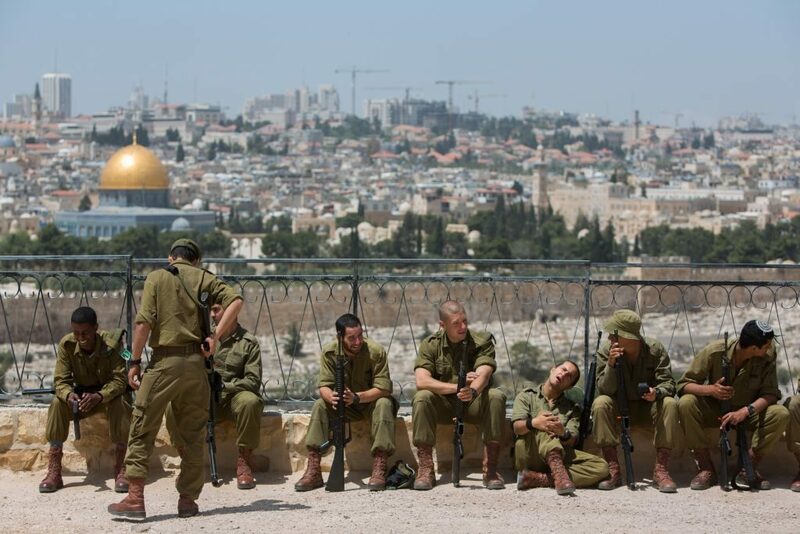 According to Maarachot, the IDF’s professional journal, from 1990 to 2008 the proportion of cadets identifying as religious nationalists has increased from 2.5 per cent to 26 per cent. Likewise, the prominence of rabbis in the IDF has also increased in recent years. Past efforts by the military’s upper echelons to minimise religious influences in the institution have typically resulted in calls from religious nationalist groups for political intervention. In early 2016, Chief of Staff Eisenkot sought to remove the controversial “Jewish Awareness” programme from the Military Rabbinate, arguing “a change is needed with the aim of keeping the IDF a stately [sic] army in a democratic country”. Despite religious hardliners lobbying the Knesset to block this change, Eisenkot was able to successfully relegate the programme to the military’s personnel wing. These tensions reflect fissures in broader Israeli society and, as such, are unlikely to disappear in the near future. According to the Pew Forum, 40 per cent of Israel’s Jews identify as secular and 23 per cent as traditional, the latter defined by Pew as “a broad middle ground between Orthodoxy and secularism”. Then 10 per cent identify as religious (orthodox) and eight per cent as ultra-orthodox. There is little intermingling between secular and ultra-orthodox groups, to the point that most seculars surveyed said that they would feel more uncomfortable if their child married an ultra-orthodox than if they married a Christian. 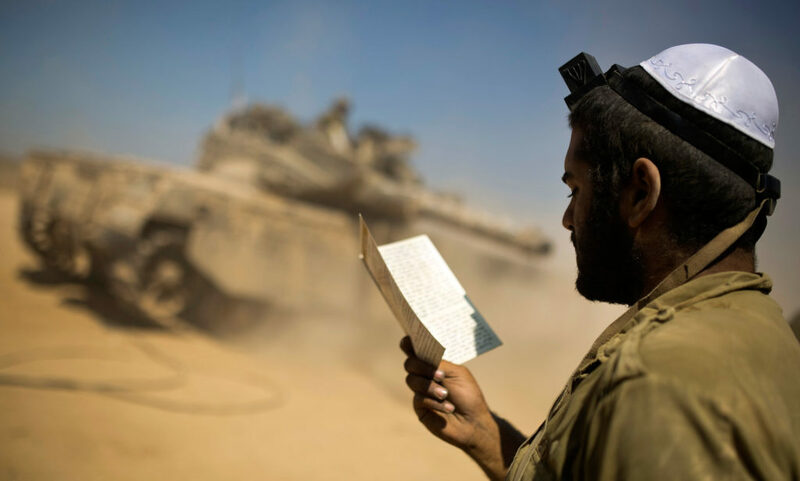 With the growing influence of religious nationalists in the Knesset and the IDF, and the deeper religious divisions in broader Israeli society, there will likely be an continued appetite for change in the IDF. In March 2016, Army medic Elor Azaria shot and killed a wounded and incapacitated man who had earlier attacked Israeli soldiers. Azaria, convicted by a military tribunal of manslaughter, has split public opinion in Israel and pitted the Knesset against the military. Eisenkot has condemned the killing, saying “these are not the IDF’s values,” while Israeli Prime Minister Benjamin Netanyahu has thrown his support behind Azaria and his family. Unfortunately for Eisenkot, this issue has touched on more than just religion. 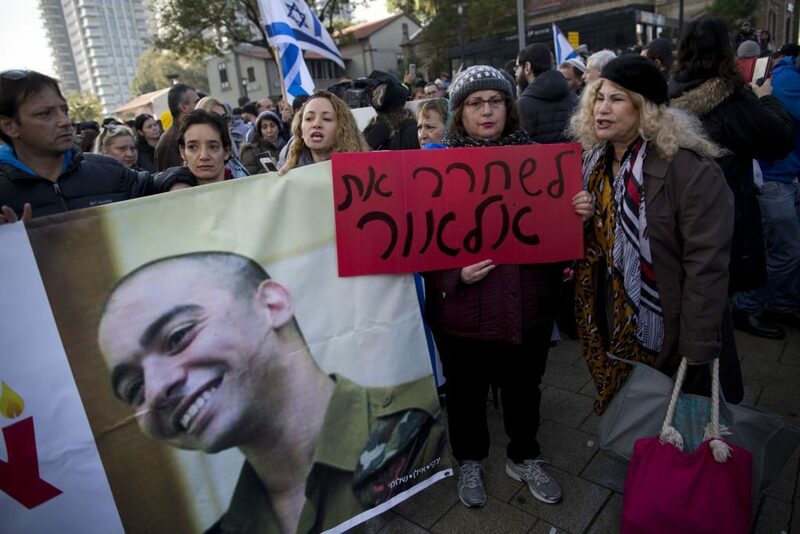 While support for Azaria is highest among religious and ultra-orthodox Jews, he also has widespread popular support – according to the Israel Democracy Institute, 65 per cent of all Israeli Jews support Azaria. Israel’s compulsory military service has been a powerful uniting force behind Azaria, with Netanyahu arguing that “the soldiers of the IDF are our sons and daughters, and they need to remain above dispute”. This widespread support will likely encourage future interventions in military matters by nationalist politicians. Despite the conviction, the struggle between military and political establishment has not resulted in a clear victory for Eisenkot. One of Eisenkot’s key supporters, former Defence Minister Moshe Yaalon, has since been replaced by a fierce critic and crucial Netanyahu ally, Avigdor Lieberman of the right-wing nationalist Yisrael Beiteinu party. In a sign of more politicisation to come, Netanyahu and other politicians have requested a pardon for Azaria from the country’s president. If ultra-nationalists are successful in their political interventions, the IDF will find itself less restricted by ethical rules of combat, but also more beholden to parties on the far-right. These changes are unlikely to find significant opposition from the Knesset’s secular majority. Netanyahu’s Likud party, while secular, depends on ultra-orthodox and right-wing nationalist parties to maintain its coalition. Already, prominent members of the ruling coalition have shown support for laws that will weaken the IDF’s ethical values. Since the Azaria case, Eli Ben-Dahan, deputy minister for Defence, has proposed a law that will give blanket immunity to security forces for their actions during a terrorist attack. If such laws are passed, IDF and other security forces will be allowed to act, during terrorist attacks, with extreme discretion and with little regard to human rights. Where the threat of international isolation may have curbed nationalist hardliners’ power in the past, a changing global political climate may now encourage them to be increasingly assertive. President-Elect Donald Trump has been unequivocally supportive of Israel, tapping into American concerns about Islamic extremism. America’s own religious right, using Biblical scripture to justify Israel’s settlements and military campaigns, have also been highly supportive of Israel’s religious right. Promises of moving the US embassy to Jerusalem, a highly provocative slight against Palestine, and Trump’s apparent disregard for human rights, will likely enable right-wing hardliners in the Knesset. Overall, the IDF has won some highly publicised victories in its attempts to reduce ultra-nationalist and religious influences in the military – notably through its efforts to reduce the military Rabbinate’s power and Azaria conviction. However, with popular opinion turning against Eisenkot, popular support for political interventions that inject religious and ultra-nationalist ideology are likely to rise and traditional secular military values are likely to slowly decline.